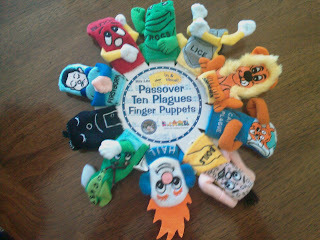 Ten Plagues Puppets! Courtesy of my uncle, photo courtesy of my brother. Disturbing, hilarious, and AWESOME. 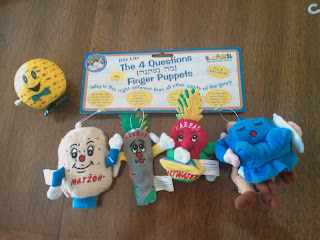 Slightly less disturbing: Four questions puppets, and a wind-up walking matzo ball. Wait...I take it back. The matzo ball is still disturbing.